This is the other secondhand O9 loco that I brought recently. 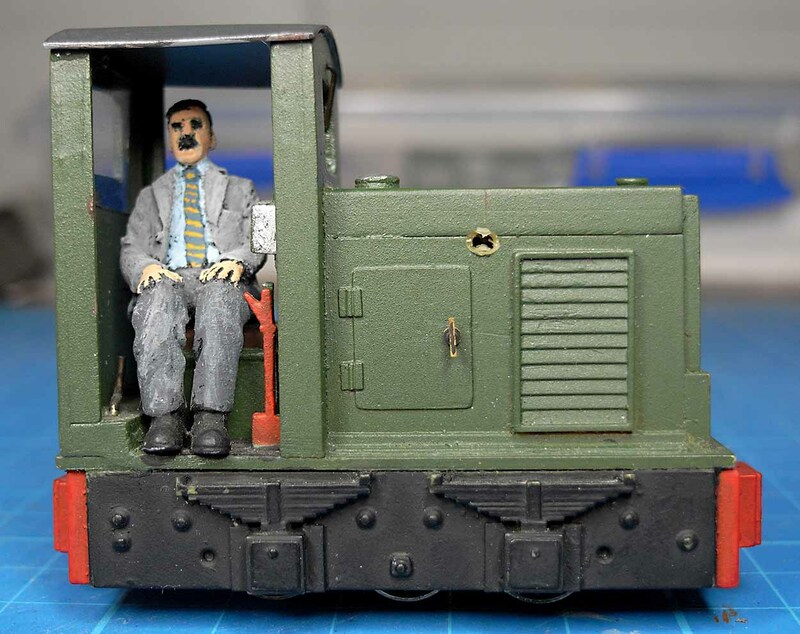 I really like the model, the green livery and the driver with his moustache and fancy tie. There were a few things I wanted to do to the model. 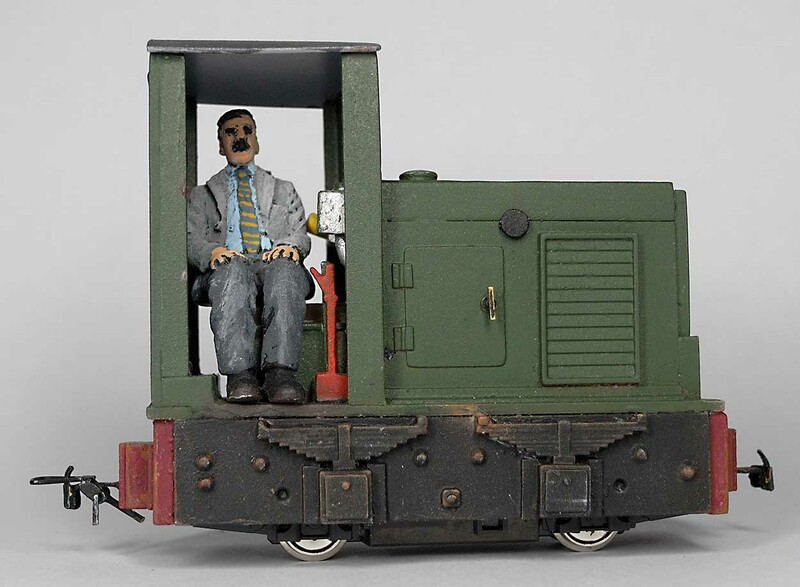 The biggest job: it had a Grafar 0-6-0 chassis (like the first loco) and I wanted to exchange this chassis for a Kato 103. There was a small hole in one side where, I suspect, an exhaust may have been fitted. This hole needed to be repaired… or disguised! Lastly, the easiest job of all, I wanted to add Greenwich couplings. The Kato chassis had to be shortened slightly so that it would fit into the motor cavity. I added a 2mm diameter bolt at one end to attach it to the body. Cutting these resin kits generates a lot of unpleasant dust. For this model I fixed the pipe of our vacuum cleaner right next to my workspace and used this as a simple form of dust extractor. Working as close to the hoover pipe as possible, I cut the base of the body using a Dremel with a grinder attachment until the Kato 103 fitted snugly. I glued a nut in place to attach the chassis to the body. (You can see the previous owner has glued a weight into the body to counterbalance the weight of the whitemetal driver. As a result the loco is really nicely balanced). Next the couplings were fitted. 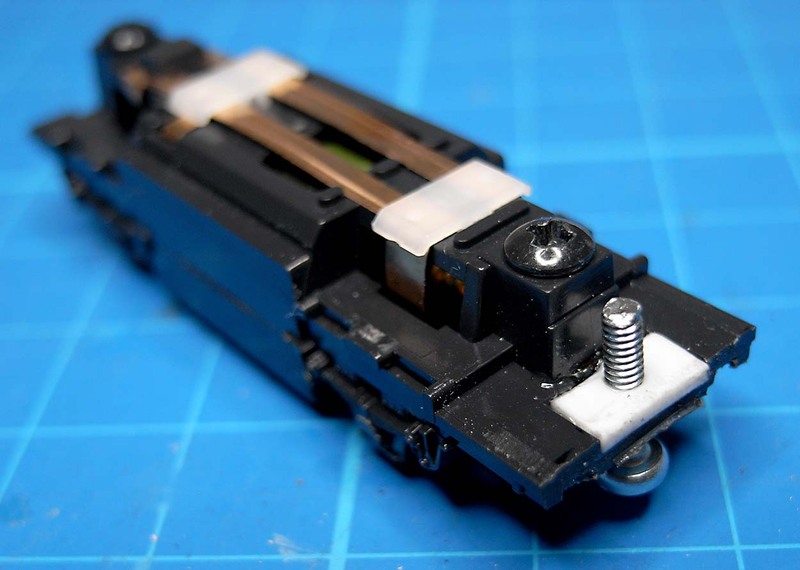 Inevitably, during all these modifications, I made some marks on the buffer beams and the frames on the sides of the model. I repainted these, then weathered them with a light touch of rust colour. While my paint box was out, I added some brown ‘mud’ around the drivers feet. Then my thoughts turned to the hole in the loco body. I decided not to repair it because I couldn’t match the colour of the green paint. This meant the best option was to disguise the hole. 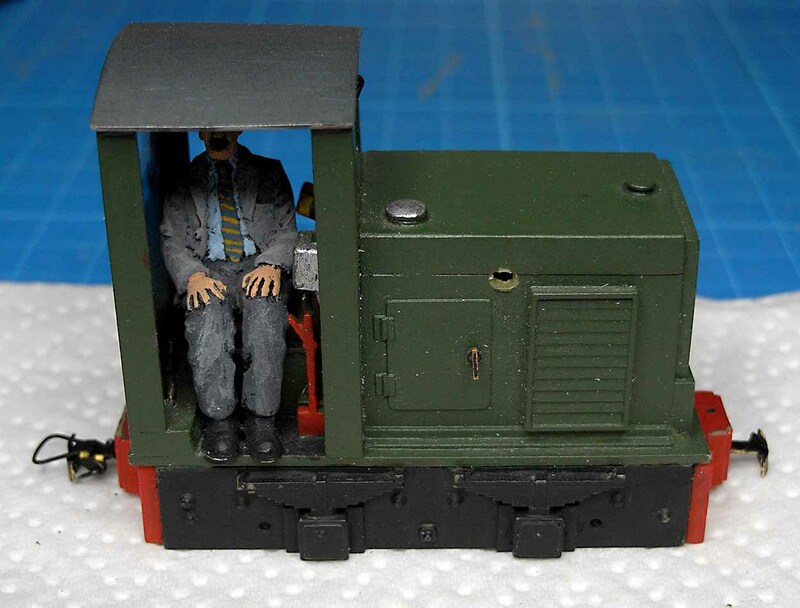 I rummaged through my ‘bit box’, found a small buffer from a N scale loco, gave it a lick of paint and plugged the hole in the body with it. In my imagination it is a filler cap of some sort.. (well, it is a freelance loco!). Finally, to finish the job, I applied a layer of ‘Dullcoat’ varnish. And here’s the finished loco. The Kato wheels are a little bright, I will probably darken these down. What have I learnt from these two locos? Well, buying secondhand has been a great way of increasing my O9 stock quickly. I think it’s good to buy stock you really like, that you don’t feel you want to modify too much. Spending lots of time making many modifications defeats the idea of buying secondhand. You might as well buy a kit and spend the time building it the way you want it to be. For these two locos I think I got the balance about right, but I wouldn’t want to do more work on a secondhand loco. I will keep this in mind when buying secondhand in the future. Thanks. 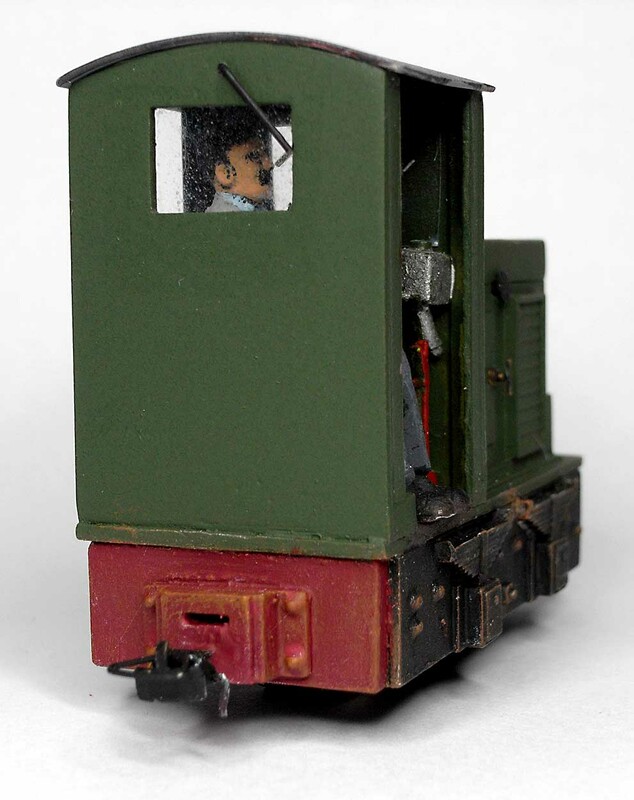 I couldn’t think how to fill the hole and match the existing paintwork, and I thought the loco would look better without a new exhaust, so disguise was the only option. I’m glad I started keeping old odds and ends in a ‘bits box’ ! Many thanks for the reblog Sed !